It has been a little while in the making, but finally TephraXMOD V3 is here!!! Flex Fuel - E85 has always been a winner on the Evo platform, but the limitted availabilty and range anxiety have made it compromise between performance and peace of mind. V3 brings FlexFuel to your EvoX - this means with the addition of a Ethananol Content Analyser (links below) you can setup automatic map switching and interpolation for any mixture of pump and E100. No more worrying about having to take it easy on that first fuel change, or even worrying about winter vs summer blends!!! MR (SST) support - Unfortunatley TephraXMOD V2 wasn't able to support SST's (the Tacho replacement also feeds the TCU, and SST's didn't like being told they were at 9000rpm, when they TCU knows the input shaft was running at 2000rpm (or whatever). 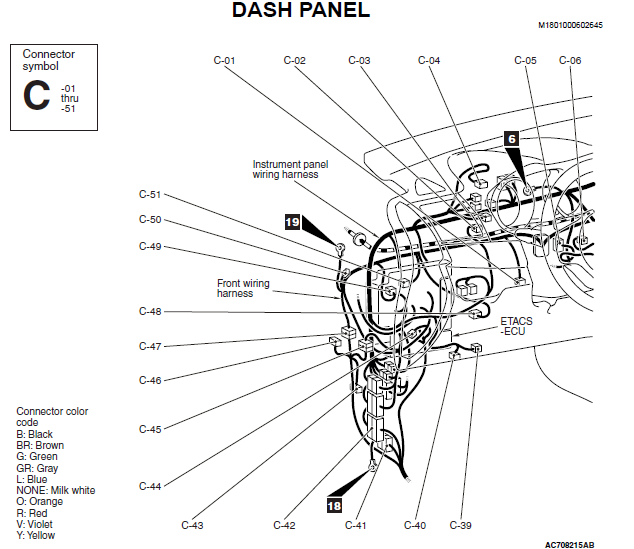 V3 keeps the tacho altmap selector method for GSR's (5MT), and adds a Intercoooler Spray light flasher to SST's. What's the same (from V2/V1)? Alt Map - Allows for configuring upto 8 alternate map sets. This means you can have a pump tune, E85 tune, E100 tune, valet setup, or pretty much any other combination of setup you like. The map-set covers the main maps (fuel/timing/boost,rev limits). Note - It is important to realise that altmaps and Flex Fuel are mutually exclusive, meaning you cant run both at the same time. No Lift to Shift - Drag race much? NLTS should give you a tenth or two. By keeping the throttle flat during changes you reduce turbo lag, and thus get almost instant power when you release the clutch. High/Low Gear MIVEC - Lets you treat MIVEC like the Boost Crossover, meaning you can have a different MIVEC setup for first/second/third from fourth and fifth, or whatever crossover you like. MethSafe - Perhaps inapproprialtley named, but Methsafe allows you to hook up an external controller, whether it be meth or NOS controller or something else to demand the ECU swap maps. When the ECU sees the voltage go ABOVE the threshold it will start the timer to swap to MethSafe maps. When the ECU sees the voltage go BELOW the threshold it will INSTANTLY swap to normal maps. When the ECU sees the voltage go ABOVE the threshold it will INSTANTLY swap to normal maps. When the ECU sees the voltage go BELOW the threshold it will start the timer to swap to MethSafe maps. What ROMID's are V3 ready? Firstly, use the below table to make sure that your vehicle is actually supported! 53600010 - USDM Ralliart Lancer 2009 - NEW !!! 56940007 - USDM Ralliart Lancer 2011 - NEW !!! 56950008 - AUDM Ralliart 2011 - NEW!!! If your ROM isn't listed above, just drop me an email and ill see what I can do! For a limited time, we are offering a $50 USD upgrade price, this is assuming you have already paid for V2 and that the requested VIN number for the V3 matches V2. In either case when you make your paypal payment please include the VIN number, the current ROMID (if you know it) and the the Region/Year/Model information for your car!! Since Flex Fuel is the major feature addition to V3 this document will focus on exactly how to utilise it. The V3 implementation is a little different to other implementations out there, for starters we have different interpolators for the different maps sets, which allows the tuner to set up the car perfectly. Additionally, and perhaps more importantly, the ECU averages the ECA signal over a time period. This means that the ECU doesn't automatically trust the sensor output, and any changes will be slowly averaged over time. This also means we can alert the driver (by a Check Engine Light) that there is some inconsitancy between the Sensor and ECU, which allows the driver to take action. V3's Flex Fuel implementation relies on a Ethanal Content Analsyer to accurately measure the Ethanal % in your fuel and then store this information in the ECU. Any sensor that outputs a 0-5v analog signal for ethanol content can be utilised, however Zeitronix ECA2 and FuelConvertor.com's units have been tested sucesfully to date! Once you have the ECA wired correctly you should be able to log the ECU for 0x805075 (1byte), this is the raw sensor value being picked up by the ECU. So if your sensor is outputting 0.5v (for say E10), then this loggable should read 25. Or if you sensor puts out 4.25v (for E85), then this should read about 217. The FlexFuel implementation in V3 uses the ECA output to interpolate between the Stock Maps (ie your stock fuel map, your stock timing map, your stock boost maps) and the Alternate #1 maps. This means that if you are running E0, then the ECU will use the stock maps; if your running E85 then the ECU will use the Alternate #1 maps, and any E% in between the ECU will interpolate between these 2 sets of maps. Out of the box, the V3 ROM is setup for a 0v (ie E0) = 0% interpolation (ie use stock maps), 4.25v (ie E85) = 100% interpolation. You can modify the interpolation curves as you see fit, OR as your ECA requires. For example the FlexConverter.com ECA actually outputs a different curve, being E0 = 0.5V and E100 = 4.5V, this allows the device to output 0v when there is an error. So you should adjust the interpolation maps accordingly. So far I havn't found a need to set the interpolation maps differently from above, however the flexability is there should it be required. CEL on E% - This value will pop a Check Engine Light when the average deviates from the raw signal value too much, this is REALLY useful to tell the driver that something has potentially gone wrong and they should pull over QUICKLY and check things like sensor, wiring or fuel lines. Sensor Error voltage - the FlexConvertor.com sensor outputs a 0v when there is an error, this means you can setup the ECU to ignore the sensor output, which is useful. 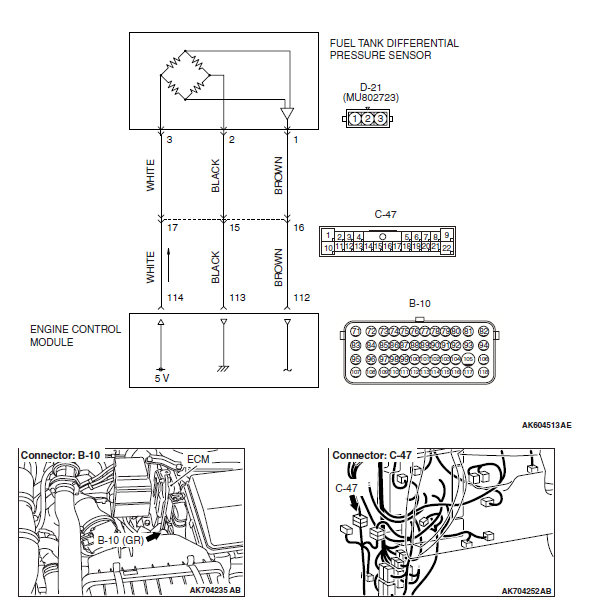 Personally I run an Zeitronix Sensor, and I have the sensor error at 0.02volts, meaning if the sensor dies the ECU should stop updating the FlexFuel Average value, obviously E0 fuels will also output around 0v, but I think this is ok, because by the time the sensor/ECU trim down to 0%, having the ECU stopping updating the average shouldn't be an issue. e) Do more testing and tweaking, ie fill up with different E%'s, and make sure the tune is rock solid. 2. Engine Electricals - As with any analog system, interferance from other components can be a problem, you should always validate that the ECA reading, output voltage AND ECU reading are all roughly in the same ballpark! 4. By far the biggest caveat is how the stock ECU scales injector scaling! See below!!! As you can see, the problem is actually worse with larger injectors, you would have course run into this problem as well, say with 2000cc injectors, "Why cant I run 2000cc, I have to choose either 1949 or 2088.. argh"
Sometimes when "stealing" the Fuel Tank Pressure signal you will get a P0455, to resolve this please using the following XML segments to up the P0455 check 1594rpm to 7969rpm! OK - so some cars dont have Cruise Control :(, so you can use TPS to incremement the altmap, however due to a unnoticed defect/bug, you cant ever decrement the altmap.